By Linda W Braun June 9, 2014 June 9, 2014 Continuous Learning, YALSA Info. Have you been reading for the past year or so on the YALSAblog about connected learning and libraries? Have you wondered, how the heck can I integrate connected learning into my library’s teen program of service? Have you thought, I just can’t make connected learning work in my library? Did you answer “yes” to any of those questions? Last week, I stopped to chat with three students sitting together in our high school library. One of the students is a known parkour practitioner. While chatting, I learned that he has become a mentor to the other two, supporting them as they develop their skills and learn how to do parkour. Thinking about this, I realized that it is a small example of connected learning that happened naturally in our library. These three young men got to know each other while hanging out in our space and are now working together on a shared passion. I didn’t make this happen (my parkour knowledge is limited to an episode of The Office) but by providing a space where the students felt comfortable hanging out and connecting with each other, it happened organically. This has inspired me to ponder what more I can do in my school library to provide opportunities for connected learning. Is connected learning happening in your library? Whether you are a connected learning expert or just learning about it, plan on attending the YALSA President’s Program at Annual 2014 to be a part of the conversation! The YALSA 2014 President’s Program Task Force has been hard at work over the last several months planning for the 2014 Annual Conference President’s Program program. Connected learning is the theme and one thing the group working on the program has continued to realize and come back to, is the idea that for teens in order for learning to be meaningful and interesting it has to be passion-based. What does passion-based learning look like? Well, think about the teens who are manga-loving library users. Do they regularly search the web for information on new titles, to learn about Japanese culture, or even to learn Japanese so that they can read manga in its original form? Or, what about the teens who are dedicated minecraft players? Do they scour the web for information on how to make mods or to find forums and other web-based venues for sharing ideas for improving their minecraft play? 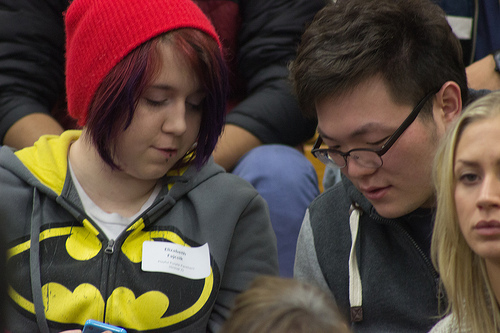 Those manga and minecraft loving teens are taking part in passion-based learning, which is also connected learning, teaching themselves and learning from others about the topics in which they are most interested. By Linda W Braun September 18, 2013 September 18, 2013 YALSA Info. June 2014 seems a long long long way away. But, it’s really not so far off. And you know as well as I do that what seems far away has a habit of sneaking up on one. That’s why the YALSA 2014 President’s Program Task Force is hard at work planning for the event at Annual Conference in Las Vegas. The President’s Program Task Force has gladly taken on YALSA President Shannon Peterson’s charge for a President’s Program on connected learning. The team – made up of myself; Maureen Hartman from the Hennepin County Library (MN); Kate McNair, from the Johnson County Library (KS), Candice Mack, from the Los Angeles Public Library (CA); and Carrie Kausch, from the Fairfax County School System (VA) – read the connected learning report, discussed it, and last week sponsored a Hangout with colleagues to consider what connected learning means to librarians and educators. The video of that conversation is below. Videos! Tweens and Teens! Libraries! Your experiences! By Sarah Couri April 19, 2012 April 19, 2012 Conferences and Symposia, Film & Video, YALSA Info. This year, YALSA and ALSC are co-hosting their annual President Programs at the Annual Meeting. Sarah Flowers and Mary Fellows are wondering: what is the life of a tween or young teen like in this digital age? What are the particular challenges and opportunities they face online? And how do libraries help them? By April Pavis June 30, 2011 October 26, 2011 Conferences and Symposia, YALSA Info. For those of you who couldn’t make it to NOLA for ALA’s Annual Conference (which, by the way, rocked! ), here is a wrap-up of the Membership Meeting and President’s Program held Monday afternoon. 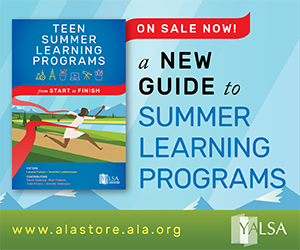 YALSA’s 2010 President’s Program is Live! By presprogram2010 June 25, 2010 November 19, 2011 YALSA Info. The (virtual) 2010 YALSA President’s Program is now live. Media MashUp is a tech-based program that Jennifer Nelson created at the Hennepin County Library. Hear from librarians throughout the country involved in the program — about the risks they took and the lessons they learned. FIERCE, NYC is a member-led organization serving GLBTQ youth of color in New York City. FIERCE members and staff talk about the risks they take, the skills they’ve gained, and the victories they’ve had as a result. Dr. Peter Benson of the Search Institute speaks about the new research they’ve done on youths who thrive — teens who have identified their â€œspark.â€ As librarians, we have a role in helping teens identify their spark — their passion. Fortunately, the Search Institute also gave us some tools we can use. Their Risk Tool Kit is a must-have! We hope you’ll check it out — and respond! Comments are open on the various Panelists’ pages, so please dive in and share your thoughts. We’d love to hear your reactions, about the risks you’re taking, and the innovations you’re bringing to the library world! Join Us for the President’s Program! Leaving annual early on Monday? Double-booked yet again and missing out on the President’s Program? Not in Chicago but trying to keep up with all of YALSA’s fabulous programs and sessions? Join us for a live blog of the 2009 President’s Program and Membership Meeting! It took me a whole week to sort through my thoughts and notes for the YALSA President’s Program! Here they are at last. 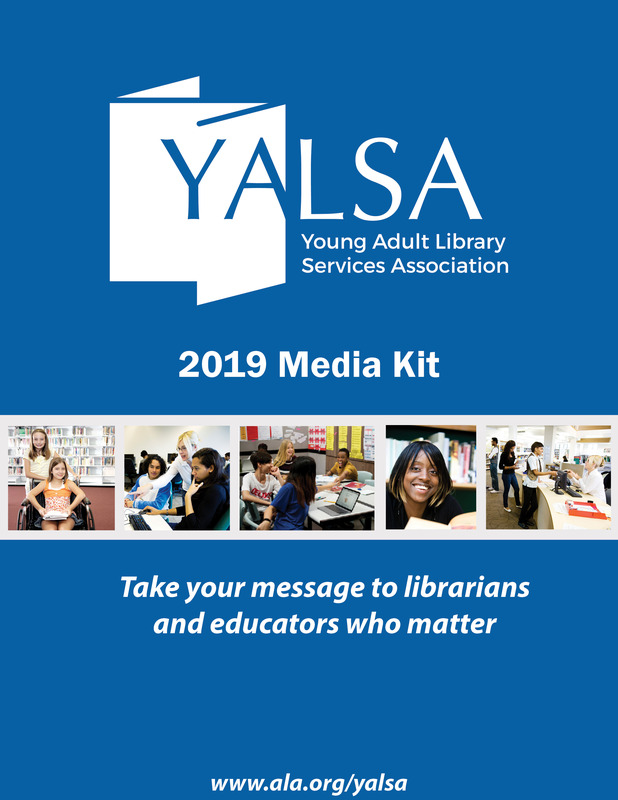 The YALSA President’s Program kicked off Monday afternoon June 26 with Pam Spencer Holly and Beth Yoke delivering highlights from the past year (did you know YALSA is the fastest growing division in ALA? 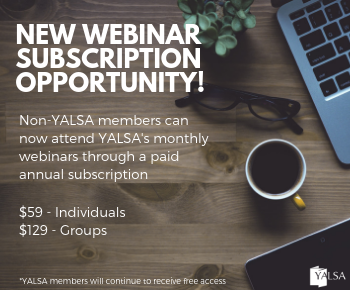 😉 It’s really amazing that not only has membership increased by 10%, but 25% of YALSA members are student members. Could a student interest group be in the works? The President’s 2005-2006 Report was well-organized and reflects accomplishments that align with the YALSA Strategic Plan. I think Pam was so eager to pass over her presidential gavel to incoming president Judy Nelson that she forgot to mention an item on the agenda – Friends of YALSA. 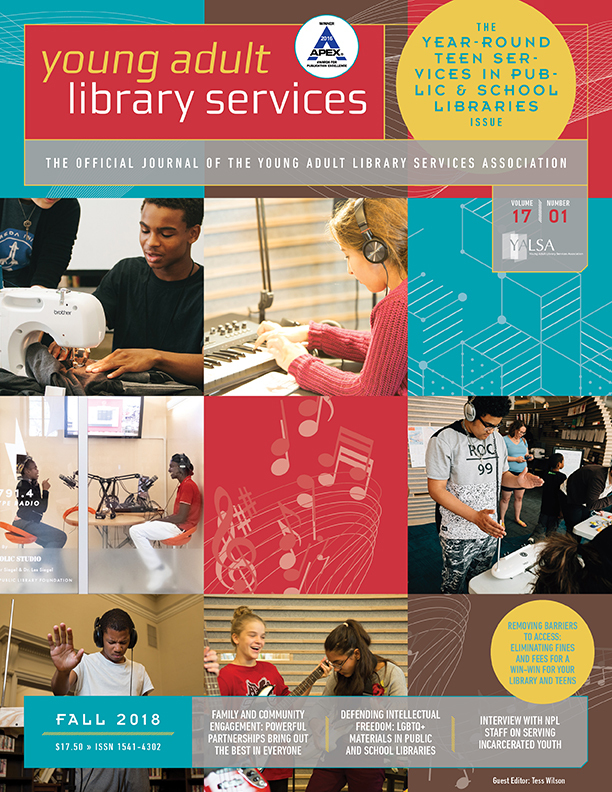 The website shows that YALSA only has 18 friends! I slipped a form to my boss, and I think I can get my mom to contribute too – who can YOU ask? 2007 sounds like it will be as busy as 2006! 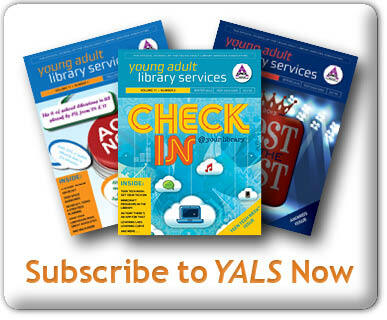 Tons of events are in the works as YALSA turns 50, Teen Tech Week lauches, and much, much more. Judy Nelson announced a return to our roots with the theme of her presidency, “Still Reading After All These Years,” a focus on the wonderful rich and diverse world of our beloved YA literature. Very fitting, and smart, in light of the recent misconceptions of YA novels as fluff and nonsense. Appropriately, the program that followed the membership meeting was all about the Renaissance of YA Literature, and a sequel to a program 10 years ago on the same topic: What’s so Adult about Young Adult? The afternoon was a celebration of crossover titles including the likes of Weetzie Bat (the original crossover novel) Perks of Being a Wallflower, and more. I missed the names of some of the speakers, so thanks in advance for any corrections you guys who attended can contribute. Next, a publisher spoke (missed her name! ), sharing the stat that of the top 50 bestselling juvenile titles, 9 are (currently YA titles), and explaining a little about why editors publish young adult books under adult imprints. Author Aidan Chambers (This is All, Postcards from No Man’s Land) offered the British perspective with humor and aplomb, quoting Shakespeare, poking fun at himself and explaining his position on the “life follows art” theory. Author Greg Galloway (As Simple as Snow) followed, and discussed literature as types of glass – the transparent “windex” kind popularized by the likes of Dan Brown, and the more complex stained glass kind in which literary greats such as Flannery O’Connor and Raymond Chandler delight in use of language. She concluded by reminding us that authors tell stories; they don’t write for a selected audience, and quoted Ranganathan: “Every reader has his or her book; Every book has its reader.” The concept was followed up in the Q&A period when one of the panelists reminded us that the readership of a book is one (the original Long Tail? ).